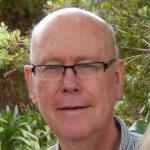 Rod Denton has served as a pastor and as a teacher in the development of emerging leaders in Australia and 9 different countries across Asia with Asian Access. He now serves as a consultant for Rod Denton: Equipping The Next Generation. A matter of calling. 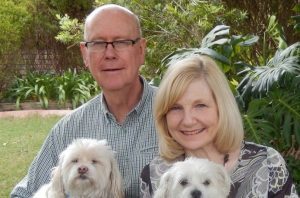 Twenty nine years earlier together with Sue, I accepted a call from God to invest my life in people: people who wanted to make a difference with their lives. A matter of gifting and experience. 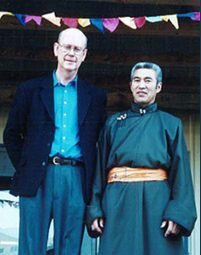 For 40 years I have lived a life of leadership and want to share what I have learned with others who have a similar calling on their lives, in whatever field that might be. A matter of stewardship and focus. I want to maximise the impact of my life by focusing on the strengths that have been entrusted to me. A matter of need. I have a deep conviction that this generation of leaders needs people of experience and gifting to come alongside them to help them fulfill their potential in what more and more is a difficult and demanding calling. A matter of passion. There are many things that I can’t do and a few things by God’s grace that I can do. This is one of them, and I am fully alive when I live out this calling of equipping the next generation. Finally, it is a matter of availability because I have come to believe that God uses ordinary people who make themselves available to Him so that He might achieve extraordinary things in and through them. I want to be available so that I can be someone who finishes well. He is the one we proclaim, admonishing and teaching everyone with all wisdom,so that we may present everyone fully mature in Christ. To this end I strenuously contend with all the energy Christ so powerfully works in me. 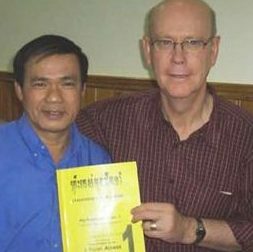 Rod with Pastor Kadada of Cambodia who has translated Rod’s material to his own manual which he is now teaching to Cambodian Pastors. Contact Rod to request a topic or for availability. Chairman of South Australian Baptist Youth Fellowship. Project Manager of the AMP Society’s North Haven Development (A residential and recreational new town development on the north west tip of Adelaide). Inaugural Chairman of Australian Venture for Victory Basketball, a sporting missionary venture to Philippines and Hong Kong. 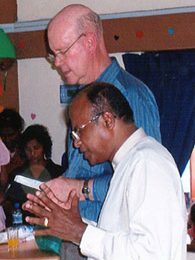 Associate Pastor of Children, Youth and Young Adults at Blackburn (now Crossway) Baptist Church in Melbourne, Victoria. This ministry grew to support 4 full time staff workers with 100 lay leaders and 500 young people. Leader of annual Summer Schools of Youth Ministry impacting a generation of youth leaders from across the nation. 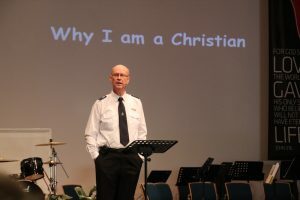 Senior Pastor of Clovercrest Baptist Church in Adelaide, South Australia. 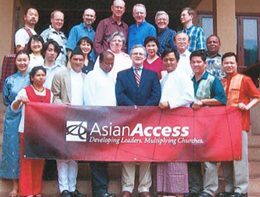 In this time the church’s ministry team grew to 8 staff with a missional emphasis that has impacted South Australia and a number of Asian countries. Leader of Pray South Australia, an interdenominational statewide prayer movement. Member of Faculty for Harvest Evangelism International Institute in Argentina. Senior Lecturer for Asian Access, a ministry to develop key emerging leaders in various Asian countries. 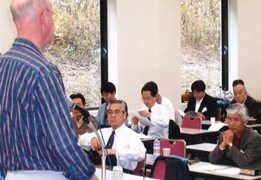 Keynote speaker on 3 occasions to the Annual Japanese Church Growth Conference. A member of the Leadership Development Working Group for the Lausanne Committee for World Evangelism. Mentor, writer, seminar leader and teacher with Rod Denton, Equipping The Next Generation. 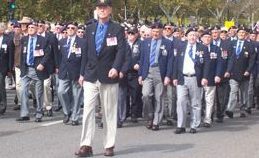 Divisional Mission Consultant with the South Australian Division of The Salvation Army.